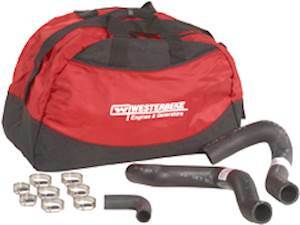 Westerbeke Spare Parts and Hose Kits are packed with genuine replacement parts for your engine or generator. More for your money. Less than buying parts separately. Backed by our 1 year limited parts and accessories warranty. The part has successfully been added to your cart. Adding the part to your cart. There was an error adding to cart. Westerbeke marine products included in this website: Westerbeke marine generators, Westerbeke gasoline generators, Westerbeke diesel generators, Westerbeke industrial generators, Westerbeke D-Net generators, Westerbeke marine engines, Westerbeke sound guards, Westerbeke low-CO gasoline generators, Westerbeke Rotary Aire marine climate control, and Universal marine engines by Westerbeke . Please Note: While every attempt is made to ensure the information on this site is accurate, this data is provided for information purposes only and is subject to change. part of this site is not permitted without the prior written consent of Westerbeke Corporation. Site development by TCC Webinteractive a division of The Computer Company, Inc.